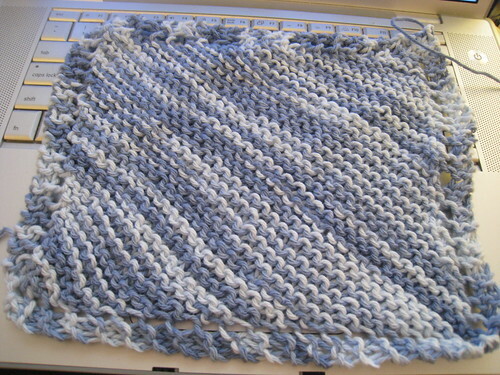 While I was out running errands with the boys yesterday, I finished up another of my traveling dishrags. As you can see, this one is a lovely variegated blue. You’ll have to wait until tomorrow for pictures of the new one.